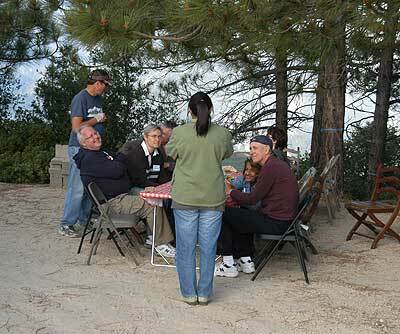 (Right) Students and faculty from California State University, Los Angeles (CSULA), await their turn at the eyepiece at Stony Ridge Observatory on June 29, 2009. 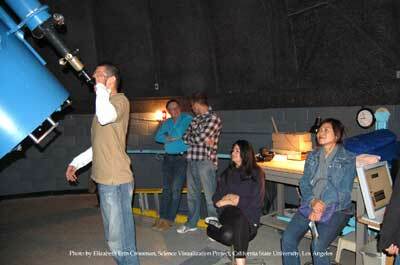 More photos taken on this occassion may be viewed at CSULA's Science Visualization Lab Photo Album website. Photo courtesy Elizabeth Erin Crossman, CSULA.